Finding a new handbag is tricky. Even for the most experienced shopper, navigating the new crop of trends each season is overwhelming, to say the least. Right now, with a micro-trend emerging on Instagram on what feels like a near-weekly basis, it's more confusing than ever. But we've decided to make things that little bit easier and narrow down the types of handbags currently trending among the fashion crowd. From minimalist totes that are ideal for work to practical options for off-duty dressing and mood-lifting iterations your wardrobe's been crying out for—these are the nine types of bags you'll want to wish list. 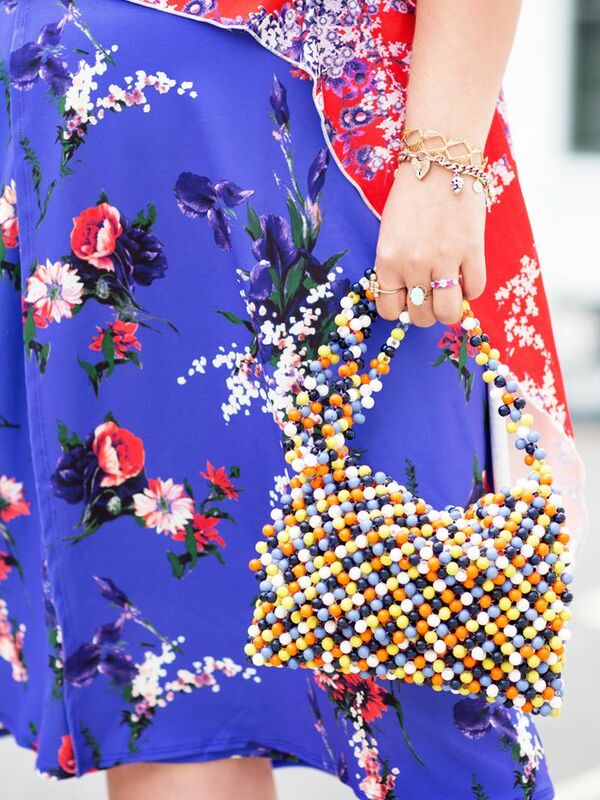 Style Notes: Colourful beaded bags might just be the most unexpected accessory trend of the season. So what's the appeal? These cheery rainbow styles are perfect for pairing with summery separates, but most importantly, they are fun to wear, with some Susan Alexandra iterations even come with teeny-tiny strawberries on the front. Style Notes: If anyone's going to tempt us to invest in one more basket bag, it's Jeanne Damas. Choose a supersize shopper to wear on the shoulder or keep it chic with something mid-size —your summer wardrobe needs this. Style Notes: If your focus is solely on office accessories, a top-handle tote is the way to go. Smart enough for work without being boring, a sleek, smooth leather iteration is the epitome of chic. Style Notes: If you've mastered the art of packing light, you'll already know teeny-tiny bags are a total game changer. Sound dramatic? The good news is that compact styles are set to stay, so many of our favourite brands are releasing super-cute iterations so we can get in on the trend. Style Notes: If you're not overly fussed by giant handbags and you really only carry two or three items at any given time, why bother with fussy shoulder straps? Instead, slip on a belt bag. Style Notes: This is a no-brainer. No wonder it's been around for so long, as this easy style fits everything we need and some and is just as easy to slip over a chunky knit on the weekend as it is to tuck under our arm for a night out. Style Notes: Swap your trusty clutch for something silky, embellished or covered in pearls that comes complete with a drawstring handle—the pouch is your new party essential. Style Notes: If you're looking for something simple, stylish and timeless, head straight for Staud and pick up the Bissett bag. Style it with classic white shirts, chino trousers and straight-cut denim. Style Notes: We're giving Chanel the spotlight here because once you've tried every other bag trend, there's nothing left to do but secure the ultimate investment piece, as seen on so many style supremos, a quilted Chanel bag. Next up, the holiday packing list we believe in.